Evening visit until 10pm close. The Guv was back serving, in fine fettle. Evening visit until 10pm close. The Guv is once again in general circulation after his leg op, but was not here tonight. Last knockings visit until 9pm close. Thanks to Sam for allowing my seconds to close pint. Evening visit until 10pm close. Mystery of late opening Tuesday resolved, Guv Ray had had a nasty fall that day. Attempted mid afternoon visit after local chores and prompted by the Guv's regular suggestions to "get here earlier than last knockings". However by 4.15 shutters still down so a white van crew and I left for pastures of another hue. Evening visit until 10pm close. Old stalwarts in situ. Kent - Yule Log 4.50 Last Christmas's or next?! Early opening for this pub today as Leyton Orient have a match tonight at Welling United. I know pretty much everyone here. Last knockings visit until 10pm close, with the usual and deserved visceral welcome for such latecomers! The pub is found in Welling, Greater London, DA16 1TR. 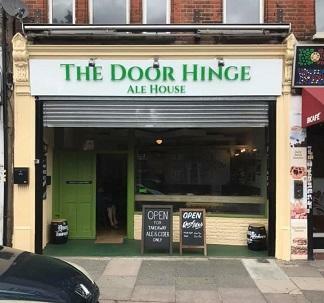 Located in Welling High Street this is Greater London's first Micropub and it follows the East Kent model initiated by Martyn Hillier at The Butchers Arms in Herne. Opened Friday 15th March 2013. For many years a corn chandler's shop selling, amongst other things, millet for bird seed. Most recently an electrical lighting shop. Planning permission received for conversion to a Micropub in late 2012. Has a separate cooled cask room with wooden gravity stillage which can be viewed through a window in the main bar. 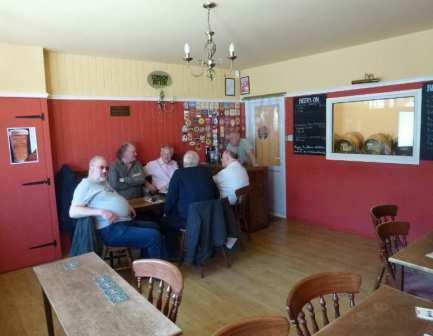 Real ales, ciders and wine are served to a small bar counter by the stillage room door. Lined glasses in regular use. One main front bar and a smaller rear quiet room with a real fire and comfortable seating leading to a Unisex toilet. The main bar comprises wall mounted bench seating and normal height tables. The pub name does not refer to its previous use but is a family joke which you must ask the landlord to explain. Opening hours amended in January 2014 are: Sunday 12-3, Monday Closed, Tuesday to Thursday 3-9, Friday 3-10 & Saturday 12-10. CAMRA Bexley Branch Pub of the Year for 2014 - not bad after just one year of being open. CAMRA Greater London Regional Pub of the Year 2014, deserved and even more astounding. Cash only, no card payments permitted. We have visited this pub 213 times, seen 347 different beers and tried 238 of them.